Activate Group Limited (AGL), which provides fleet accident repair and insurance claims solutions, has acquired RVM Assist for an undisclosed amount. RVM Assist is the fourth AGL acquisition this year. RVM provides a range of fleet risk and driver training solutions and the acquisition forms part of AGL’s plans expand its business in the vehicle fleet management and motor insurance sector. Earlier this month the group announced the acquisitions of Car Repair Network, Sopp+Sopp and Vigilance. Mark Woods, executive chairman of AGL, said RVM’s driver risk management services blend seamlessly with the group’s core business offering. 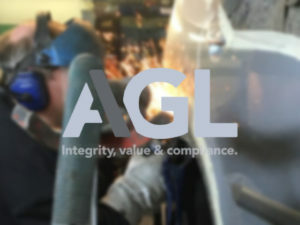 Mark Wilcox, chairman of AGL, added: “The agreement with RVM to become part of our group represents another example of how we are expanding our business with well-established partners with strong customer relationships in the fleet management, corporate and insurance markets. These relationships will be carefully nurtured and maintained with the immediate benefit of an expanded group capability that can provide tailored solutions for clients.”For more of the latest industry news, click here.